Wednesday’s Wowzers: Most Wonderful Time of the Year! 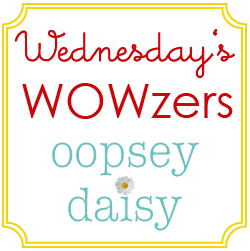 You are here: Home / wowzers / Wednesday’s Wowzers: Most Wonderful Time of the Year! After a long day at Disneyland today, we are all tired and sore, but 100% happy. We have decided that it takes loads of work to have loads of fun! Of course as I see Little Man sleeping peacefully, snuggled up with his favorite Mickey Mouse stuffed animal, I know it was all worth it. Memories were made today. This has been quite a week. After celebrating at the happiest place on earth here in California, I will be shifting gears pretty quickly as I fly to Utah to honor my sweet grandmother who passed away on Sunday. Although she will be missed dearly, I feel such complete happiness and gratitude to think of the legacy she left us--her 8 children, 43 grandchildren, 110 great grandchildren, and 1 great great grandchild. Sweet Grandma was the best person I've ever known. So in the midst of heartache, I feel completely grateful for the life she lived. This time of year really does make me want to snuggle my loved ones a little bit closer. 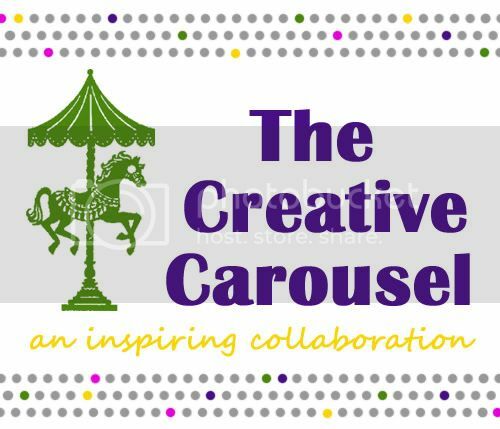 Now on to some creative inspiration!! Lately I feel like I am constantly drooling. 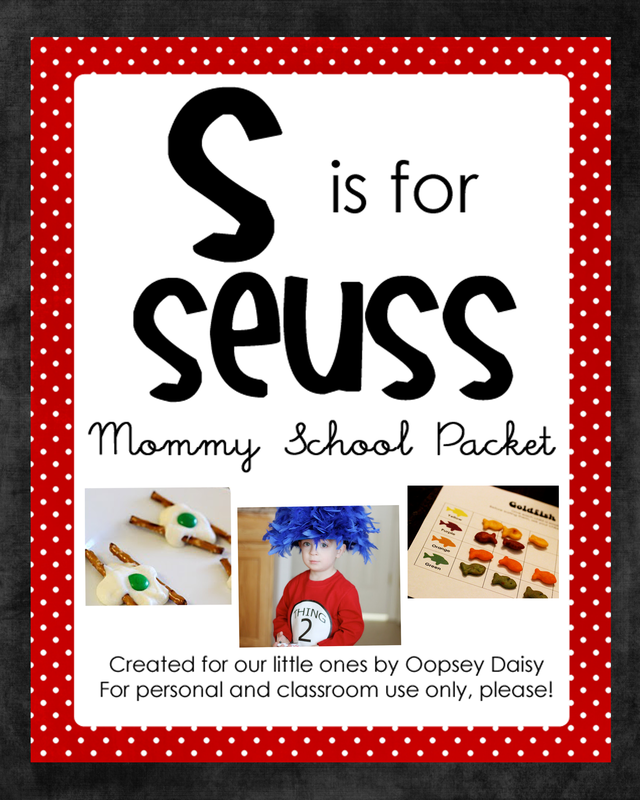 There is just not enough time before Christmas to make all of these projects!! I am swooning over this pointsetta pillow from Sweet C's Designs. I love a great Pottery Barn knockoff, and Courtney created something truly beautiful here! 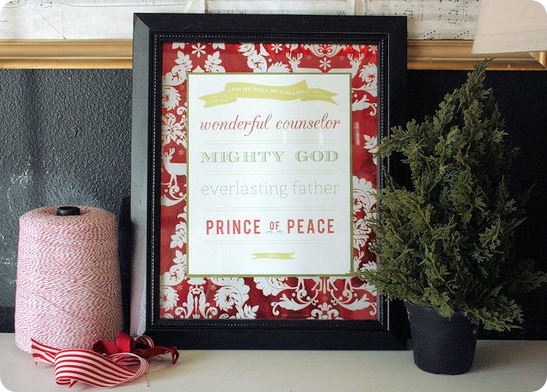 I have always loved this scripture, and I can't wait to print my very own from Jones Design Company! What a lovely way to decorate for Christmas this year! Delia Creates constantly amazes me. 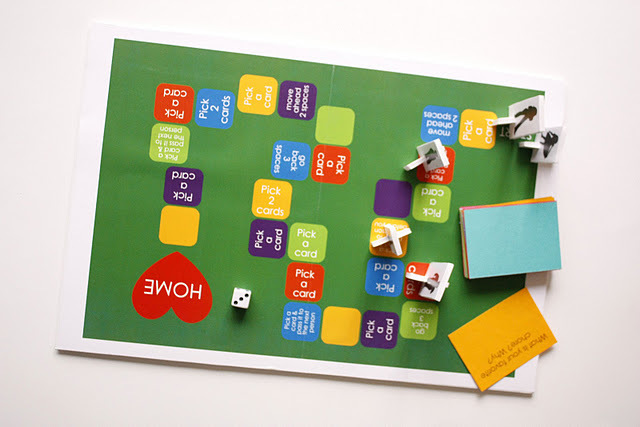 I love that she created her own family game using a bi-fold foam board! What a great Christmas gift for the family! 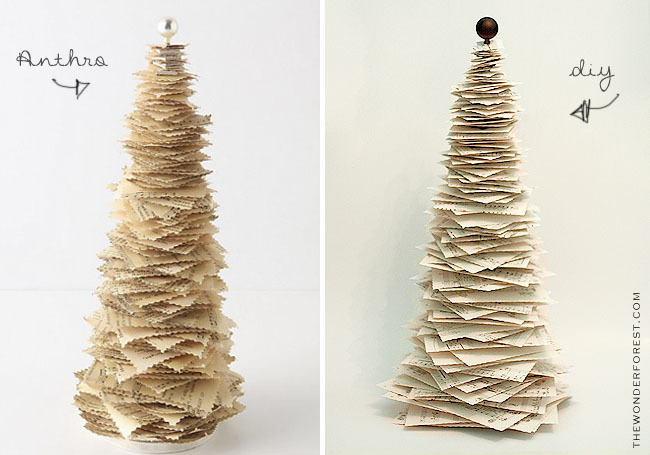 This DIY paper tree (an Anthro knockoff) is an incredibly clever idea! Go check out The Wonder Forest for the full tut! To begin with, this date night basket is beyond darling! I mean the embroidered initials?? SO CUTE! 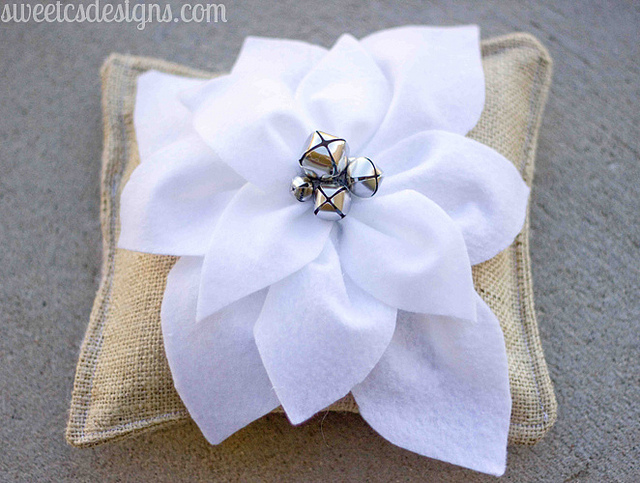 I'm lovin' that burlap too. But I love what's inside even more! 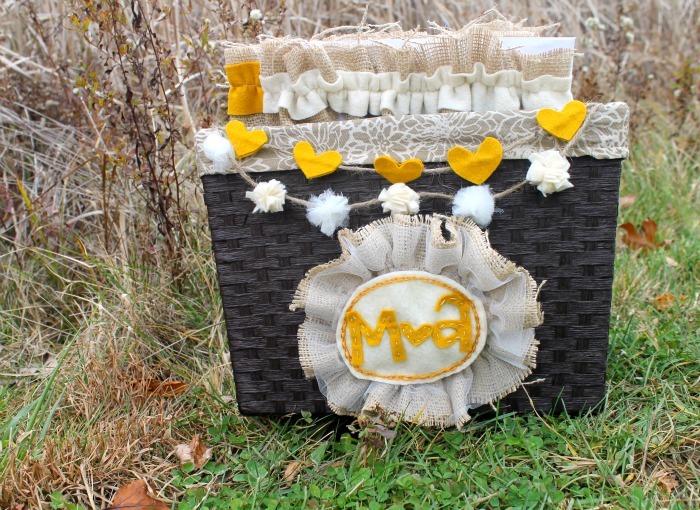 Miss Lovie created all sorts of date ideas to include in this basket. Wouldn't this make a great Christmas gift for your husband?! One word: YUMMY!! 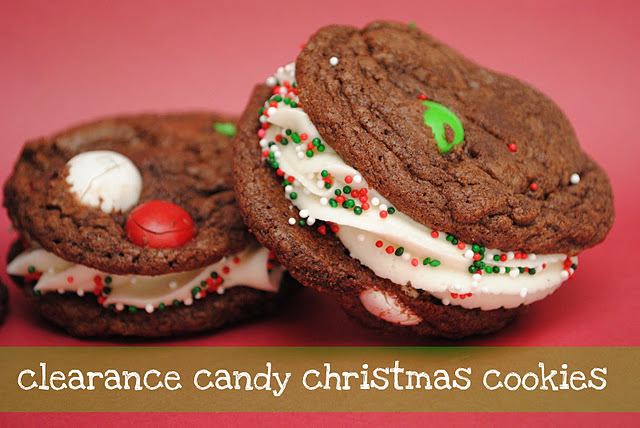 These cookies would be fun and festive for any kind of holiday get-together! My mouth is watering thanks to Something Swanky! More pillows?! Yes, more pillows! I'm just blown away by The 3t6h Avenue. 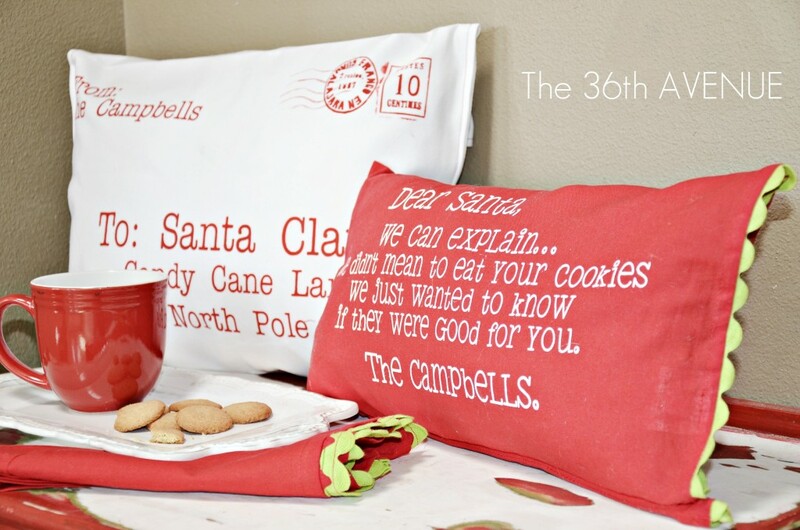 These letter to Santa pillows are absolutely darling!! Oooo, good ones today, Alison! Love the paper tree, the Jones Design print and those pillows!! REady to get my craft on!! Great ides as always. Going to check some out now. 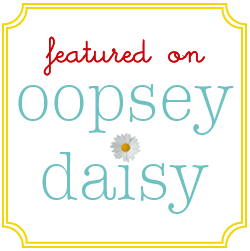 Loving these as I always enjoy your picks of the week! That date night basket is utter fabulousness. So glad you had fun at Disney! I’ll be thinking about you and your family this weekend. Wow! What a week, glad y’all had fun with Mickey. Your grandmother sounds like she lived an amazing life! Prayers for safe travels and prayers of peace for you and your family as you celebrate her amazing life! And I am sorry for your loss. That was a sweet tribute to your grandmother.